The Sony Xperia Z is catching quote a buzz at CES 2013, especially with Sony's mechanical dunk tank continuously showing off the water resistant feature of the device. The big question on everyone's mind is when will the phone launch in my country. Well, if you live in Australia, we might have some idea. John Featherstone in the head honcho for Sony's mobile business in Oceania. In Las Vegas, he happened to talk to some bystanders and told them a few interesting tidbits. 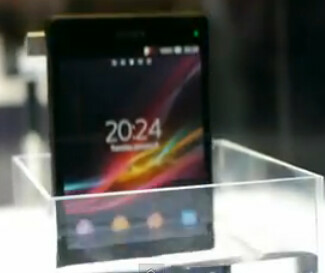 The executive said that 80% of the handsets Sony will release this year will be 4G enabled. He added that all of them will be in the mid to high-end price range. Finally, the exciting news for those in Australia is that according to Featherstone (and he should know), the Sony Xperia Z will be available from the three major carriers in the country sometime in March. 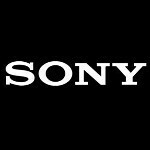 Gizmodo Australia has already said that both Vodafone and Optus will be getting the Sony Xperia Z and Telstra already has a product registration page up and running online. I'm very excited about those 2 phones, this can be very big for Sony and we will have more healthy competition in Android ecosystem. Sony is aiming big and high I'm sure. If the price is same as Note 2 and sound, video experience is as great as Sony says I will buy the ZL. Oh well its just a matter of preference. I simply prefer to have the water and dust resistance and the battery difference isn't a lot. Both phones are great though. Get them xperia z Austrlia! I hope at&t release theirs in march too. They need to make them somehow fire resistant now if they are going to Australia that soon! Yeah since it is water resistant.. we will need "shark locator" and "shark deterrent" apps as well. Phones are again becoming far too expensive for the average user and I fear that manufacturers will eventually price themselves out of the market with such high-end devices. wow we usually get phones 3 months or so after everyone else, good news.